Every great journey starts with one, unsure step away from everything that one ﬁnds comfortable and safe. Usually one feels fear, hesitation and trepidation before turning away from the status quo in search of a better existence. Young Anakin Skywalker felt immense fear when leaving his mother behind on Tatooine in order to go with Qui-Gon Jinn to start his Jedi training. 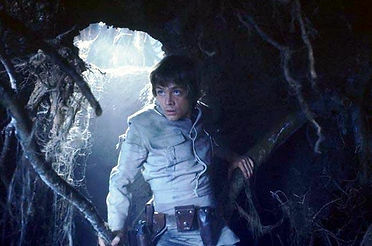 Decades afterward, a teenage Luke Skywalker was hesitant to leave his aunt and uncle when Jedi Master Obi-Wan Kenobi asked him to leave everything behind to learn about the Force. Flash forward even more decades beyond that and you have Rey, who showed great trepidation for leaving Jakku for fear that she would miss her family coming back to get her while she left everything behind in order to help BB-8 return to the Resistance. These are all great ﬁctional examples of how the Force is trying to push us all in the right direction, toward a better way of life and our destinies, and yet we resist its calling for dread of the unknown. The Force is always trying to push us in the right direction, especially concerning our physical well-being. Of course, it needs a good, nurturing place to manifest and act from: our bodies. This is why we may feel ill at times when we abuse or neglect our physical selves. We feel sick when over-indulging on sugary, calorie-dense processed foods, our muscles weak and easily sore from atrophy when not exercised, and our minds foggy and sluggish when not engaged in meaningful activity. This is the Force’s way of telling you that all is not right with you and it often feels punishing. Are you feeling any of these symptoms? Are you ensuring that your body is a sturdy ediﬁce for the Force to reside and work from or is it a shanty, creaking and threatening to fall asunder from the winds of life? This is not to sound chastising but to oﬀer a perspective and to nudge you in the right direction; the direction that the Force is trying to move you in. I am 31 years old as I write this and I am in the best shape I have been in for most of my life. I only want to show others the way instead of have them learn it the hard way as I had to or worse: fail, suﬀer, wither and die from health conditions such as cancer. As mentioned in the introduction of this series; I want you to love and care for yourself because you most certainly deserve it. However, like Luke Skywalker, you will be expected to enter a dark cave and confront yourself and the bad choices you are currently making so that you may emerge with greater understanding and purpose. Most of my youth and adolescent life was full of terrible health choices concerning food, and I endured emotional torture during middle school, high school and even the ﬁrst year or so of college due to being overweight. For those that can empathize, it is a terrible thing to live with the feelings of inadequacy, shame and self-doubt that obesity produces. What’s worse is that when we neglect the Force, turn inward and succumb to self-pity, it compounds by becoming a self-perpetuating issue when we take refuge and comfort in our bad habits that cause the initial problem. Instead of doing this, one needs to stop, feel what the Force is telling them and acknowledge the problem. This is very diﬃcult for some as our egos stand in the way, we become defensive and the excuses ﬂow forth like a dam that’s been busted. When this occurs, take yourself out of the equation, look at the cold, hard facts and accept fault and responsibility. Yes, other people and environmental factors may be complicit in your present condition, but you are a Jedi, are you not? Are you not responsible for yourself and the consequences that your actions reap? You are. This is the dark cave I mentioned before. This is acknowledgement and the ﬁrst, intimidating step along the road to physical well-being and a better connection to the Force. After taking the ﬁrst step of acknowledgement and bearing the full weight of responsibility for one’s condition and refusing to succumb to the defense mechanism of retreating back into bad habits, one starts to feel a strong, electric-like feeling of determination to change. This is the next evolution: Desire. Like a small, glowing ember, desire can be fanned into a full-ﬂedged ﬂame that will chase the shadows of doubt and fear away. This ﬂame requires energy from fuel to stay lit. This is where a lot of people fail; they refuse to hunt for tender to keep the ﬂame alive and it smolders, enveloping the person back into the darkness and despair from whence they came. How does one keep the ﬁre going? Well, as mentioned before, the ﬁre needs fuel to persist, so one needs to venture out and acquire it. In this metaphor, wood and kindling are to be considered information, knowledge and assistance. 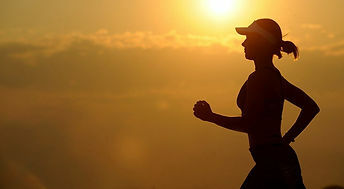 One cannot improve their physical well-being if they do not know anything about exercise and nutrition. In order to change, one has to “unlearn what they have learned” from their bad habits. Thankfully, in this day and age we have so much information at our ﬁngertips via the internet. Books and videos on how to change are mere keystrokes away if only we dare to seek them out and absorb the content. However, the downside of being inundated with so much information, it is easy to be confused and receive contradictory guidance. This may bring back feelings of trepidation, but realize that you must keep the ﬂame of desire alive! You have nothing to lose so you might as well try anything other than what you have been doing. This is where I will say to seek help from a doctor before attempting anything, but I will tell you the simplistic answer: Eat fresh, whole, one-ingredient foods, exercise with moderate to high intensity for 30 minutes to an hour a day for at least 5 days a week and get 8 hours of sleep per night. Simple, right? So, why do people fail? 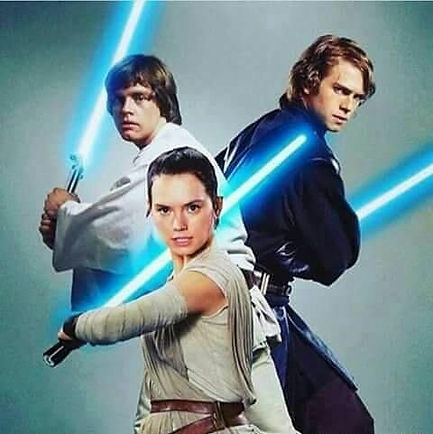 It is because they do not posses one of the greatest qualities of a Jedi: Discipline. In the next installment I will address how one acquires and cultivates discipline so that the ﬂame of desire remains constant and bright with minimal tending. It is the engine that will carry one forward to improved physical ﬁtness and connection to the Force. However, this is the hardest lesson of all as it requires a change in one’s character. It is essentially mastery over oneself. In the meantime, keep the ﬂame of desire alive. As always, I and the Force are with you.